Felicia Bartlett paints oil on canvas in a large variety of sizes and subject matter. Many of the images are seaside and pastoral landscapes. Often with touches of unexpected whimsy or drama. The emphasis is on idyllic open spaces be they in sunshine or in storm. Born and raised in Montreal, Felicia studied at Queen’s University and Parsons School of Design. 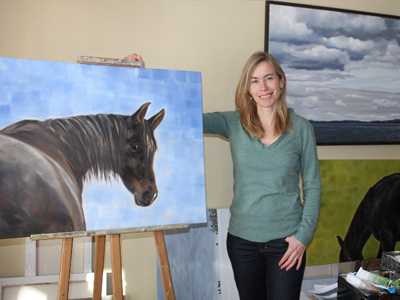 Her work has been shown in both group and solo exhibitions in Ontario, Quebec and New Brunswick. She now lives in Toronto and is currently selling through private exhibitions, studio visits and commissioned works. Please contact Felicia with any questions or interest in most recent work. © 2019 Felicia Norris Bartlett. All rights reserved.